One of these days Babies, BANG, ZOOM… straight to the Moon! 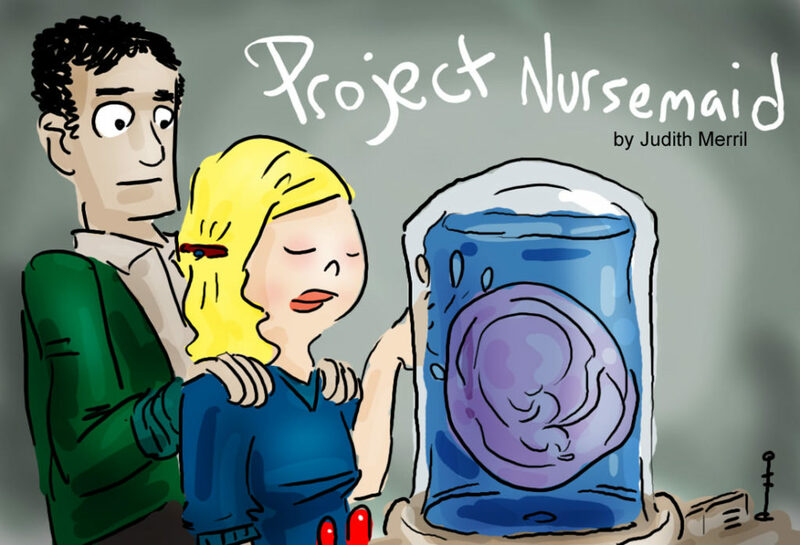 This here is an impression of a short story by Judith Merril were in, the main character is a therapist / social worker that helps find Foster Parents for babies living on the Moon. He also helps women deal with letting their baby go up for moon adoption. It’s not nearly as Sci-Fi as it sounds… and this illustration doesn’t really capture the story. Plus that weird anatomy on that weird arm is weird. One Response to One of these days Babies, BANG, ZOOM… straight to the Moon!